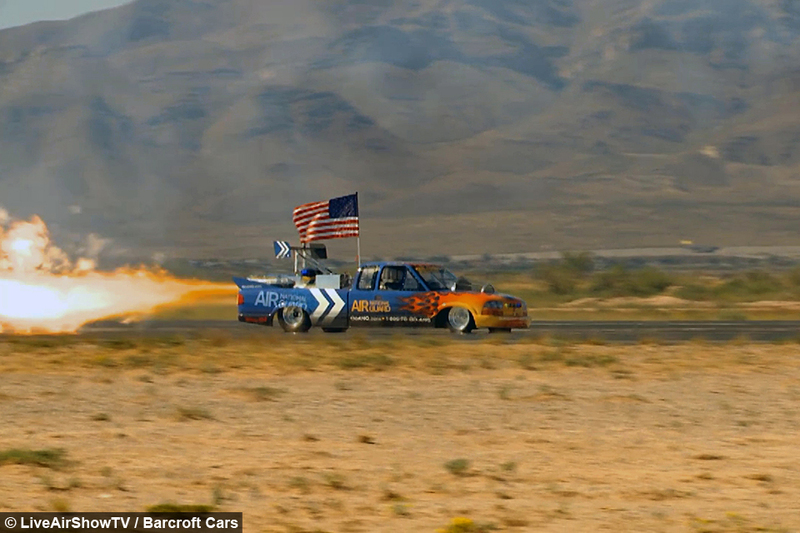 But thanks to a 12,000 horsepower engine and a top speed of almost 400mph, this rocket-propelled Chevy can do just that. 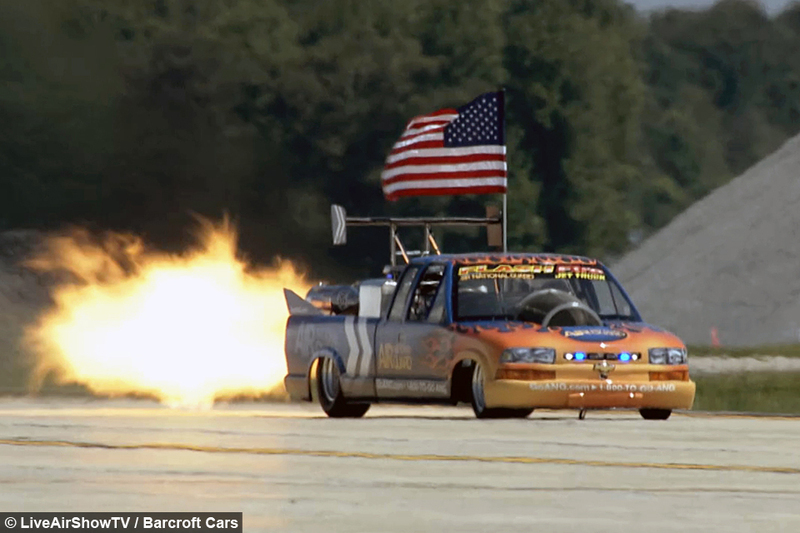 The explosive machine known as the 'Flash Fire Chevy' is the brainchild of American Neal Darnell - who built it after he retired. Together with his son Chris they took a Pratt and Whitney engine from a US Navy trainer jet called the T-2 Buckeye and built the vehicle around it. With this additional rocket power the Chevy is able to accelerate from 0-60 in 1.5 seconds - exerting up to G-Force 6 on the driver. It can easily hit 350mph and has reached a top recorded speed of 375mph at airshows, where it impresses the crowds by catching up with light aeroplanes flying a few metres above. 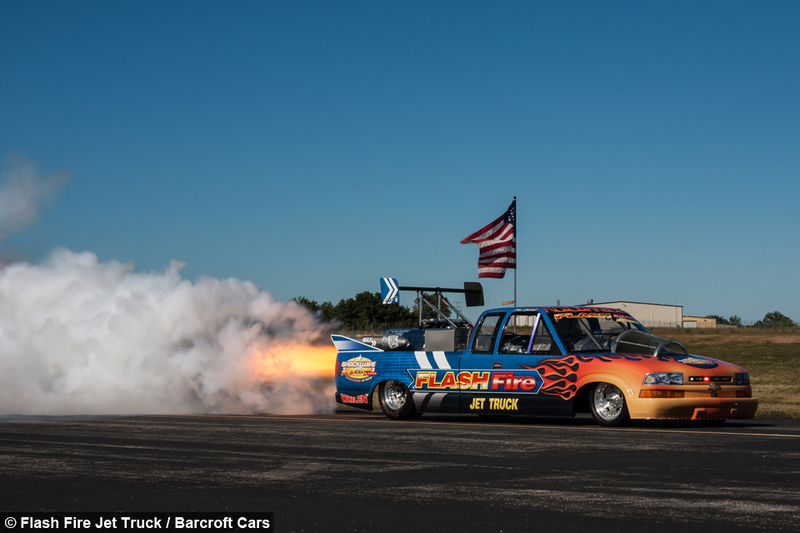 Neal, 65, from Springfield, Missouri, said: "The truck is a Chevy S-10 replica. The body mould actually came from a real Chevy S-10. 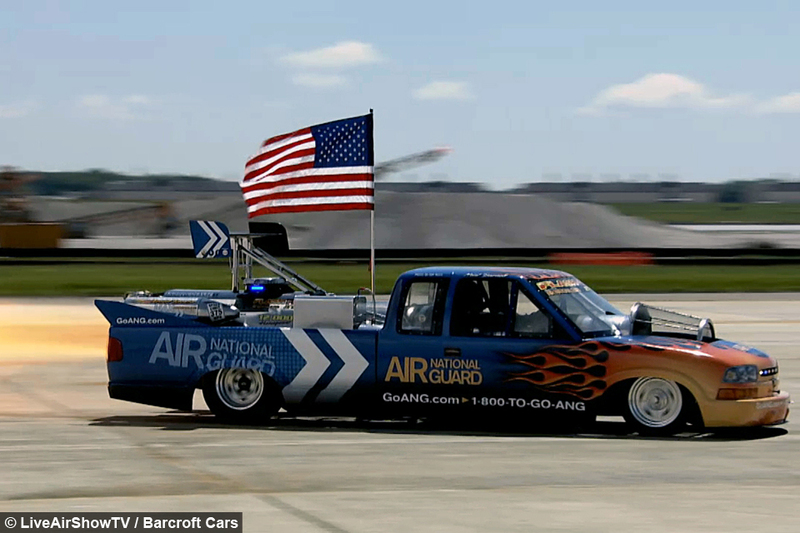 Basically to build one of these things you set the engine in the shop and then you build the truck around it. "The frame is all chrome alloy steel and it was formed around the engine and made to fit the body. It's basically a two-year project and a lot of money." 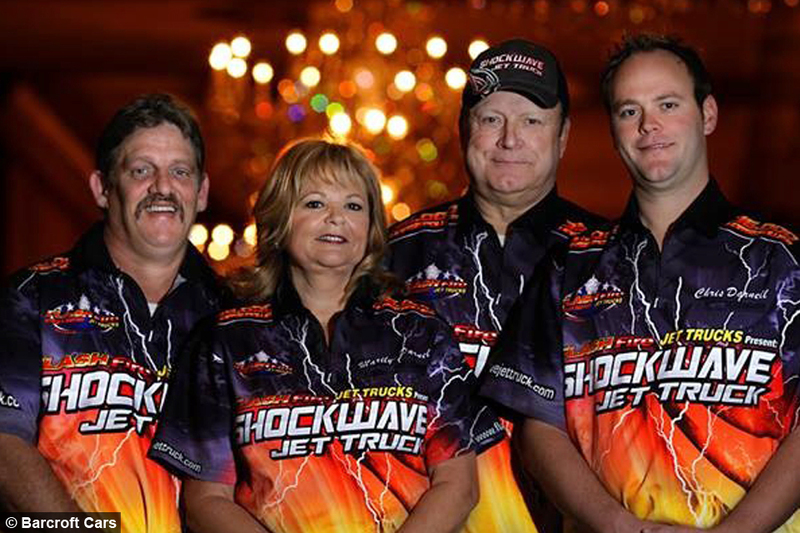 Neal, who also races Shockwave, the World's Fastest Jet-Powered Truck, had worked in motor sports show production for 20 years before retiring - and decided to put himself in the front seat. 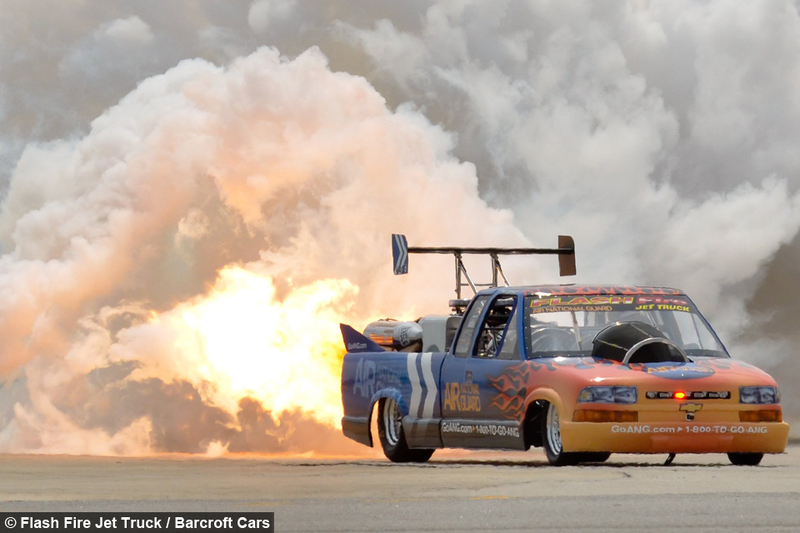 He said: "Prior to my airshow career we promoted monster-truck races, truck and tractor pulls and motocross events, that kind of thing, so it was kind of a natural progression. "I have always raced something on the side. I have raced motorcycles, sand dragsters, funny cars and so when I retired I wanted to get into something that was fun and exciting. He added: "Everybody loves speed. I will always love speed. And this vehicle is definitely the ultimate speedster." 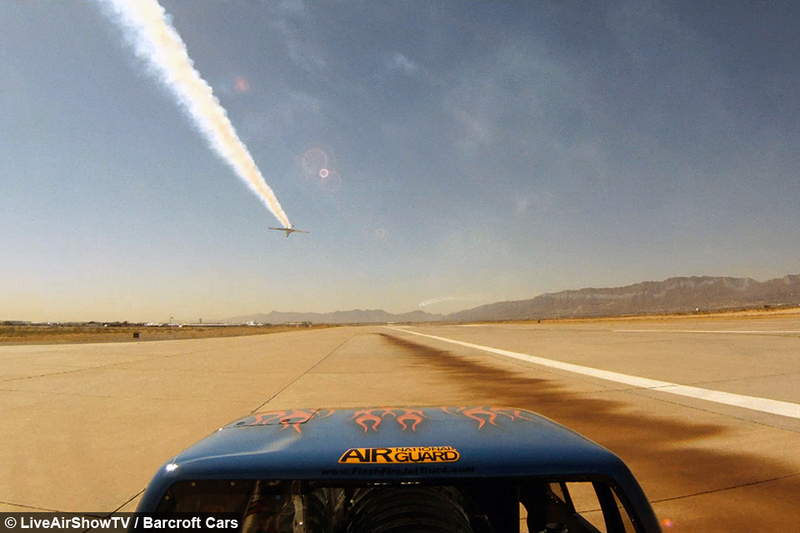 Neal and son Chris are continuing to tear up the tarmac at shows across North America, including El Paso, where these images were captured in October 2012.